A year after Freddie Gray's death, and the riots that followed, daily life in Baltimore has largely returned to its old ways. 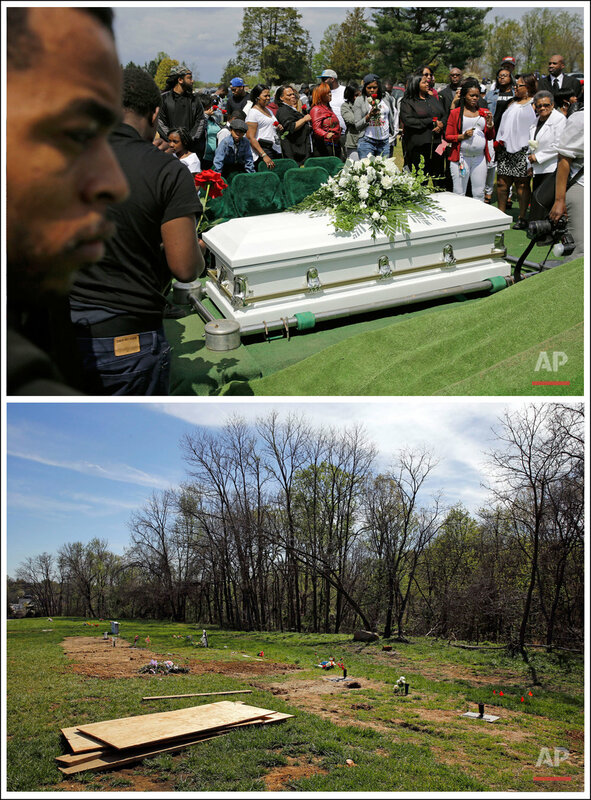 Gray's death on April 19, 2015 — a week after he was arrested and injured in a police transport van — became a focal point in the national debate over police treatment of African-Americans. On April 27, looting, rioting and arson broke out after his funeral and continued through the night. More than 200 people were arrested. The Maryland National Guard was called up, and a nightly curfew was imposed. 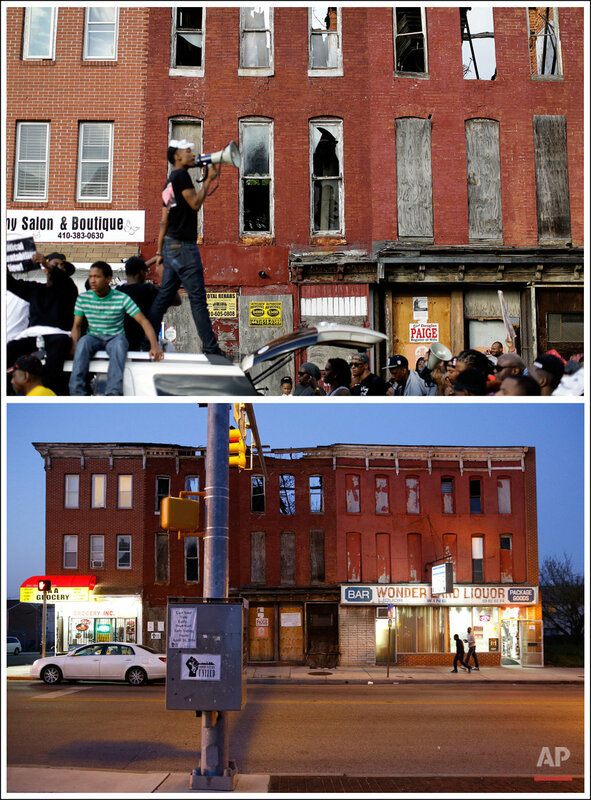 Now, with the smoke cleared and the debris long hauled away, Baltimore looks much the same as it did before the unrest. Long-blighted buildings mark the landscape where protesters marched. 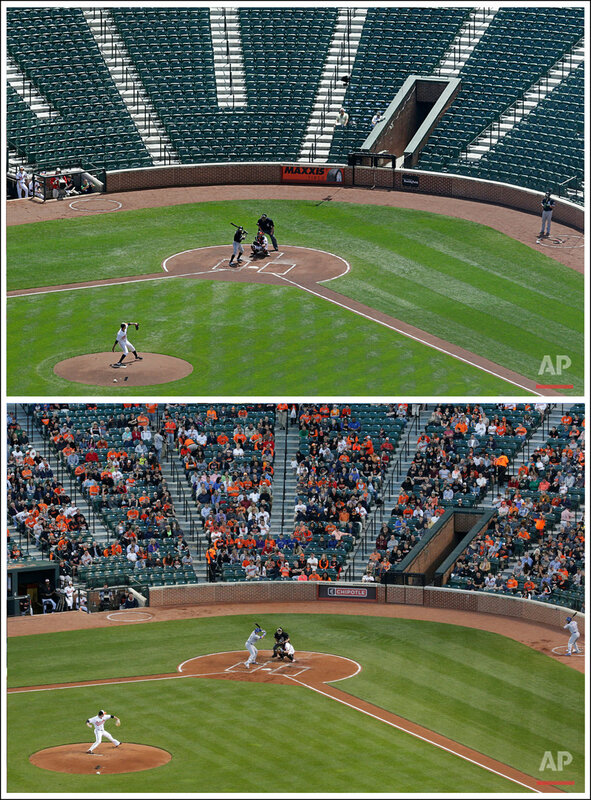 Baseball fans, forced by the curfew to stay away for one game last year, gather to cheer on the Orioles. Shoppers and commuters walk past storefronts with repaired windows. A CVS drugstore that burned has reopened to regular business. And Gray's grave, surrounded by people and flowers last April, today sits unmarked and unperturbed. 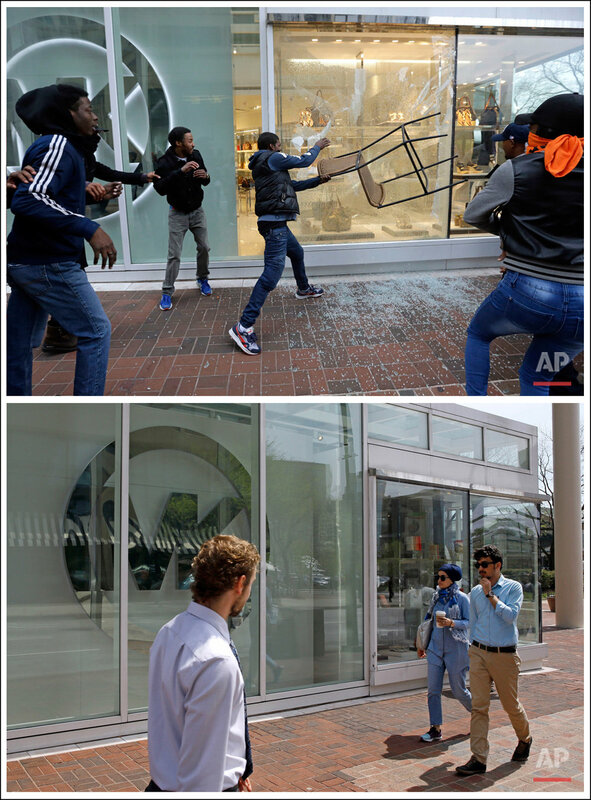 Text from the AP news story, AP PHOTOS: Life in Baltimore 1 year after Freddie Gray death.